A new ad by USAAmmo compares Barack Obama to other famous tyrants. The company defended the ad saying Obama is anti-gun and a socialist. 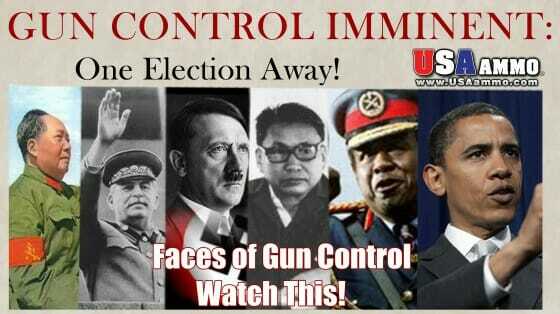 A gun company advertisement that warns of impending gun control compares President Obama to Adolf Hitler and Joseph Stalin.